On September 15th, the U.S. Food and Drug Administration (FDA) announced that it has issued warning letters to 55 retailers who were found in violation of selling tobacco products to minors. Perhaps the most interesting fact is that none of the violations involved a traditional (i.e. non-flavored, non-infused, 100% long-filler tobacco) handmade cigar product. One component of the FDA’s new Deeming Regulations that went into effect on August 8th, 2016 is that it extended the FDA’s oversight to all tobacco products. Previously FDA oversight was limited to cigarettes, loose tobacco, roll your own tobacco, and smokeless tobacco. While municipalities had established laws for age requirements, the new Deeming Regulations gave the FDA the right to now enforce them. The FDA publicized the list of the 55 retailers, which was inclusive of both brick and mortar, convenience store, and online retailers. The list included the establishment and the regulated product that was purchased by the minor. The majority of the violations were found to be around e-liquid / vape, machine made, and/or machine-made cigars. * One Retailer was given a warning for both E-Liquid / Vape and Machine Made. There were two handmade cigars that made the list, but these were flavored / infused cigars opposed to traditional (non flavored, non infused). Specifically, the two products where the warning letter was issued were the CAO Cherry Bomb and Tatiana Classic Flavored Cigar. It so happened the CAO Cherry Bomb and Tatiana Classic were sold by establishments that could be considered more focused around handmade cigars. However, it is worth noting the CAO Cherry Bomb violation occurred on that particular retailer’s online store and not actually in the retailer’s brick and mortar establishments. The cigar industry has worked for several years to identify the definition of a premium handmade cigar and part of that definition does not involve machine-made products, nor flavors. It is still unclear in terms of the set of data of what retail establishments were targeted in the new world order of now checking age requirements for all tobacco products. 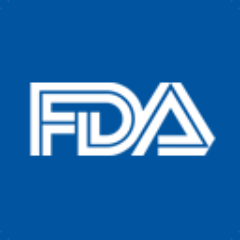 While the FDA publishes a compliance inspection database, items are added to the database based on when the decision was made and not when the inspection occurred. In addition, at press time decisions only through 8/31/16 have been updated in the database. It is quite possible the brick and mortar and online establishments (i.e. non convenience stores) that our audience is most familiar with to purchase traditional handmade premium cigars were not the focus of these compliance checks. Some cursory analysis of this data indicates that over the years, convenience stores have historically been the target of age compliance checks. The traditional premium hand-rolled cigar industry has long tried to distant themselves as a sector that does not market to minors. The citations issued by the FDA seem to support this assertion since non were reported back. It is worth noting that while there are two legal challenges (Trade Associations, Global Premium Cigars) against the Deeming Regulations, neither challenge the age compliance requirements.